Infor LN cloud suite is a definite plus. 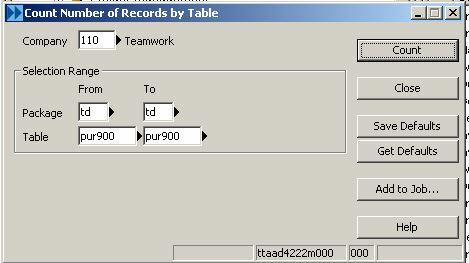 Use this session to print the number of records per table for a range of packages and tables in a company. 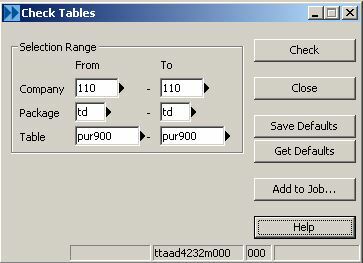 Use this session to check the table consistency in relation to table definitions. Only tables with errors are printed on a report. Only tables of companies whose package combinations are equal to the package combination of the user will be checked! This session does not check if the tables are corrupt because of data inconsistency. It only checks if a table can be opened. If you are interested in Freelancing, kindly rush in your Profile along with expected hourly rates and availability in terms of hours per week and your available timings. Kindly reach us at fullonbaan@gmail.com. Field property-> position tab -> checked “initial hidden detail & overview”. There are report header layouts in a report with print condition set to 1, but when the data flows to next page (i.e. more than 1 page) header layout (data) is not getting printed.